Sunday 9th August 2015 is a date which will be remembered for a while within the High Wycombe Society. On that day we held a Big Picnic on The Rye, and invited the people of High Wycombe to join us in celebrating the achievements of the Rye Protection Society back in 1965. For younger participants the star of the show was The Monty Fool pictured here in costume. 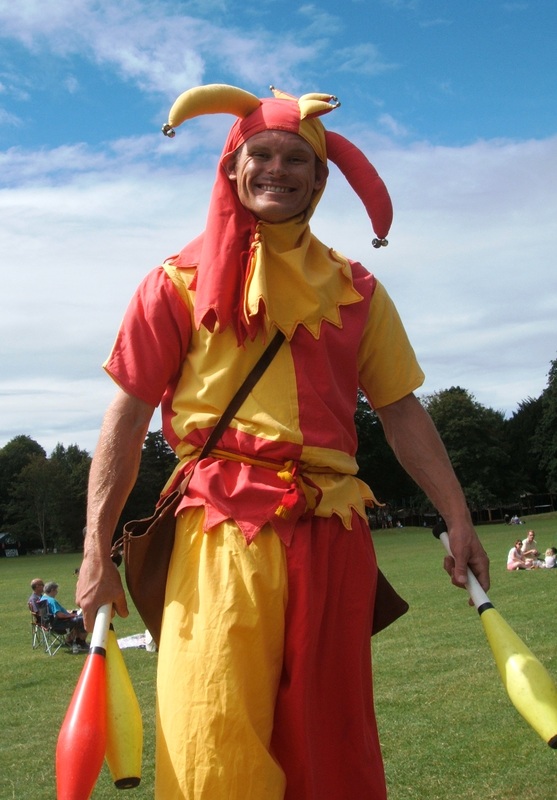 He towered above everyone else as he walked about the Rye on stilts before commencing his circus skills workshop which was appreciated by young and old alike. Others enjoyed the music and dancing from the Taeppas Tump Morris Dancers. 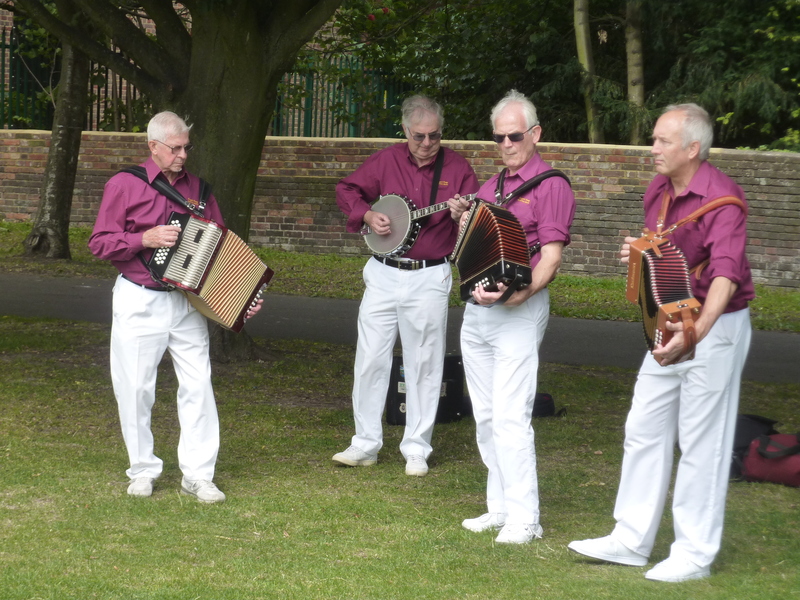 The musicians pictured here serenaded people over their picnic lunch. Some of our members added to the range of after-lunch entertainment. For the athletically minded. Prudence Meek took a large party of people on a water trail and Amanda Green ran an introductory yoga session for those wanting to relax. The reason for the celebration was the focus of exhibitions in the grounds of Pann Mill including historical photographs of The Rye, a poem written specially for the occasion and a quiz. 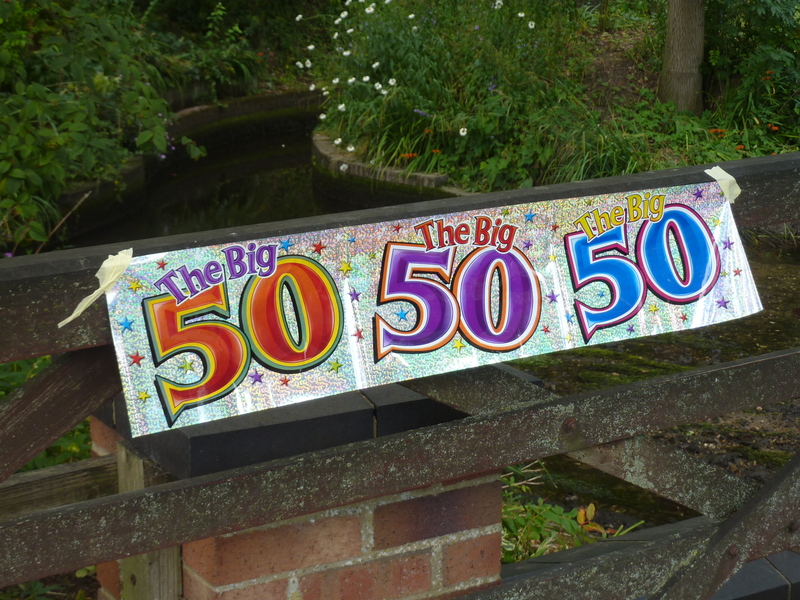 The ‘Big 50’ banner will be carefully preserved until our own Society’s 50th anniversary in three years’s time!